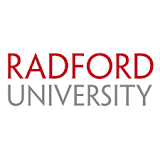 Founded by Dr. Obenshain at Radford University, this competition began in 1981 to celebrate the 100th anniversary of the Hungarian composer Bela Bartók's birth. Originally the Bartók Competition, it later expanded to honor Russian composers Dmitri Kabalevsky and Sergei Prokofiev. It now honors the memory of the great pianist and musician, Bartok's protege' & Radford Competition Jury Chairman for decades, GYORGY SANDOR. Mr. Sandor, a dear friend of Dr. and Mrs. Eugene Fellin and Dr. Obenshain, served as Jury Chairman in 1991 when Dr. Salvatore Moltisanti was awarded first prize at this competition. Dr. Moltisanti was then invited the following year to serve as a Juror along with Gyorgy Sandor. Maestro Sandor left us on December 9th, 2005. We are deeply grateful to him for his generous contribution to the world of music and the art of performing. We will miss him dearly. Charles H. Pettaway Jr., pianist,U.S.A. John Lascelles Solomons, pianist,SRI LANKA/U.S.A. NEW YORK (AP) - Pianist Gyorgy Sandor, who was a protege of the Hungarian composer Bela Bartok and toured the world into his 90s while teaching at the Juilliard School, has died. He was 93. Sandor died Friday of heart failure at his Manhattan home, according to his son, Michael. A native of Budapest, Hungary, Sandor studied piano with Bartok and composition with Zoltan Kodaly at the Liszt Academy of Music there. He concertized worldwide in the 1930's, making his Carnegie Hall debut in 1939 and later premiering many of the piano works by Bartok, who died in New York in 1945. Sandor was best known for his performances and recordings of the music of Bartok, Kodaly and Sergei Prokofiev. He recorded the complete solo piano works of Prokofiev and Kodaly, and the piano music and concertos of Bartok, for which he won the Grand Prix du Disque in 1965. In Bartok's fiendishly difficult music, Sandor was praised for his subtlety and fine articulation at the keyboard. "His playing serves as a chastisement to those who play Bartok with percussive sound," critic Anthony Tommasini of The New York Times wrote in a review of a four-disc set Sandor recorded a dozen years ago.He gave his last public performance in Turkey last spring. In addition to Juilliard, Sandor taught at Southern Methodist University in Dallas and the University of Michigan at Ann Arbor. He wrote "On Piano Playing: Motion, Sound and Expression," a book published in 1981, and finished the manuscript of a book on Bartok and his works. Any work or any combination of works (solo, concerto, ensemble) by Bartók, Kabalevsky or Prokofiev are acceptable. Program choices with duration must be submitted to the competion office for commitee approval. Musicians are expected to perform by memory, unless specifically approved by the competition office. Qualsiasi composizione di Bartók, Kabalevsky or Prokofiev per solista, duo o solo e orchestra in riduzione pianistica. Esecuzioni a memoria a meno che autorizzati diversamente dalla segreteria del concorso. A very limited number of Master Classes will be offered during the competition. If you wish to be considered for a Master Class, please specify it at the time of your application. Un numero ristretto di Master Class verra' offerto durante l'IBLA GRAND PRIZE. Per essere inclusi nella programmazione dei Master Class, per favore indicarlo nella domanda di iscrizione. 2nd and 3rd Prize Winners will receive a certificate to attest to their accomplishment. Catania airport Fontanarossa is the closest airport to Ragusa, Italy, with direct flights from Rome, Milan, Frankfurt, Paris, London, Malta etcetera . The IBLA Foundation will provide discounted rates for hotels and restaurants as well as airport/hotel and local transportation services for contestants and their guests. Great beaches and historical sites surround the Ragusa IBLA area, should you wish to take a vacation during your stay. Ragusa IBLA is an astonishingly beautiful wonder of baroque architecture and is located approximately 15 miles from the Mediterranean sea and close to the volcano Mount Etna, Taormina, Siracusa and the Greek temples of Agrigento. During your stay, upon discretion of the artistic director, you will be offered the opportunity to perform in open stage evening concerts. However, you are not necessarily required to attend throughout the duration of the competition, should you have other professional commitments.